What is a stored emotion? Well, emotions are what make us human. They are the signature energy structure of the human being. We are here on this planet to learn to work with emotions. There positive emotions such as hope, contentment, optimism. 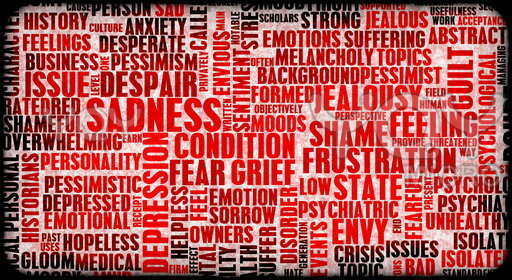 There are negative emotions such as hatred, anger, resentment. The positive emotions are the ones we hope to foster in our lives. The negative ones are the ones we want to rid ourselves of. Each emotion has its own energetic frequency. The energy frequency of hope is very different from that of resentment. The energetic frequencies of positive emotions are much higher, much more subtle, much closer to the frequency of love and appreciation than are the frequencies of negative emotions. Your body, which is where the emotions are recognized and sometimes stored, will never mistake one for the other. Though you may not have a specific name for the various emotions, you will recognize that they are different one from another. How do you recognize this? They just feel different. Positive emotions feel good. Negative ones feel bad. And there are numerous variations of good and bad. What's tricky here is that many people - maybe even most people - are so used to feeling negative emotions that they believe that way of feeling is normal and natural. They do not recognize it as negative. In fact, many of my clients who receive an Emotional Infrastructure Clearing where those old feelings disappear feel a little disconcerted without them. They do not immediately recognize the good feelings as such. They feel a little lost without those old, bad feelings. That soon sorts itself out. What I've discovered is that positive emotions feel expansive and seem to fill the entire body at one time. Negative emotions feel constricted like a dense ball of energy which can get stored somewhere in the body such in an organ or a chakra. Since we are talking about the process of clearing or releasing negative emotions lets see the types of negative emotions we are talking about. Here is a list of the various types of negative stored emotions followed by an explanation of each type. A stored emotion (SE) is just what it sounds like. It is a single negative emotion stored or trapped somewhere in the body. Not all emotions are SEs. If an emotion is relatively mild and can become resolved and flow out of the body, it's not an SE. If the emotion is very impactful and cannot become resolved, it might become a stored emotion and can then be called an SE. It can be stored anywhere - the lungs, the liver, the reproductive system. Usually they get stored in the soft tissues of the body. They then cause that tissue to become distorted and to take on the lower vibration of the stored emotion which can lead to a variety of unwanted conditions in the body. A multiple stored emotion (MSE) occurs when two or more very impactful emotions become conjoined and stored simultaneously. For example, if you unexpectedly took a bad fall, the emotions of shock and panic might arise simultaneously, become conjoined as a single emotion which is neither shock nor panic but shock and panic. The resulting emotion could become stored as one entity which is different from shock and different from panic. It is a combination of the two and has an energetic frequency all its own. An inherited emotion (IE) can only be acquired at the moment of conception; the moment when the egg and the sperm meet carrying with them DNA from each of the two parental lineages. Note that I said "parental lineages" - not parents. That DNA is bringing with it the unresolved genetic tendencies from all your previous generations. Those tendencies can be positive or negative. It is the negative emotional tendencies which are the ones to be released. For example, perhaps a tendency toward anger is prevalent in one of the lineages. The carrier of the anger might not himself or herself display anger just like a carrier of tuberculosis might not have lung issues. It's in the DNA - not in the person. It may manifest or it may not. In any case, the anger has manifested in the past and may manifest in the future if it has not been resolved in some other way - such as an Emotional Infrastructure Clearing. An absorbed emotion (AE) is an emotion which did not start out its life as your emotion. It was originally someone else's emotion which was so intense and close to you at a time when you were energetically vulnerable that your body simply absorbed it and now it acts as if it were actually yours. An example would be someone else's fear which was so palpable that your energy field just took it on. And now you experience that particular fear as if it were your own. A mother's intense fear of spiders could be passed to her child in this manner. An emotional resonance (ER) is similar to an AE except that the emotion does not actually become absorbed. Instead it just resonates in your energy field - sort of like the ringing of a bell off in the distance. The effect of an ER is not as distressing as that of an AE. Nevertheless it is disturbing and can be released.